A California man has to pay back nearly six figures for cheating Caesars and Borgata’s online casino. According to sources, this is the most significant case since New Jersey legalized online gambling more than five years ago. 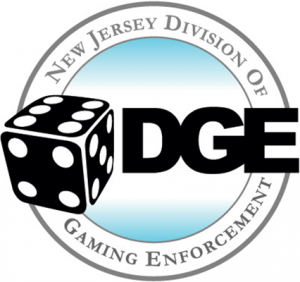 The Division of Gaming Enforcement (DGE) said that the offender Vinh Dao violated NJ law, which requires you to be in the state to wager in online casino NJ. The DGE claims that they’ve reached an agreement with Dao after his decision to cooperate with the agency. In fact, Dao agreed to pay back $90,500 in a case that began in February 2014. At that time, online gambling in the Garden State was only three months old, and geolocation technology was still in test mode. Now, if you try and pull a stunt as Dao did five years ago, you won’t even be able to get passed the registration phase! People try every day, and still, they can’t get past security. Yes, anyone can mask its GPS coordinates, but it’s hard to trick cell phone tower data! Also, casinos now ask personal identifying questions that only genuine users could answer. Unfortunately, both casinos could receive fines if found that they knew Dao’s true location. The Borgata online casino declined to comment, and Caesars said they’re going to look further into it. There’s one lesson to learn here, and that’s if you want to gamble in New Jersey then you need to be within the state’s borders! If not, you’ll lose everything that you thought you won. However, not everyone lost in this case. The DGE said all forfeited money would go toward a fund for senior citizens and the disabled. Plus, a portion of the money will go to programs that prevent or treat obsessive gambling.